Telemarketing spammers bothering you? Clingy exes calling in the middle of the night? iOS 7 will let you block calls from specific numbers to save your sanity. Rather than allow third-party developers to modify the native Phone app like on Android, Apple has chosen to offer this feature itself. Yesterday I wondered if Apple might finally open up some more flexibility to iOS developers and allow them to provide this kind of functionality. 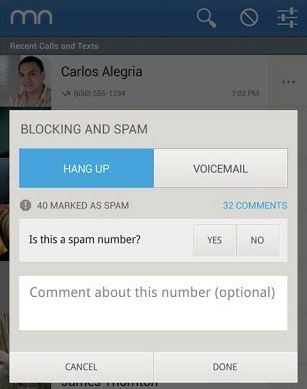 Android lets apps like Mr Number and many others let you block specific numbers or entire area codes, instantly hang up on them, or automatically send them to voicemail. Call and text blocking builds on the iOS Do Not Disturb feature you can schedule to block calls and messages from all numbers except certain favorites or groups. As a gauge of just how popular this capability could be in iOS, Mr Number had racked up over seven million downloads before being acquired by WhitePages a week ago. Perhaps it suspected that call blocking would go native in iOS, denying its potential there, and feared the same would happen on Android. It’s hard to assess how valuable call and text blocking is unless you’ve ever had a stalker or bully. To those who have, the feature can make or break their mobile experience. Getting woken up or interrupted by unwanted communication can feel like a deep invasion of privacy, and make people scared or angry every time their phone buzzes. It lets people fight back against drunk dials from old boyfriends or girlfriends, creepy strangers, and disrespectful marketers breaking their workflow. 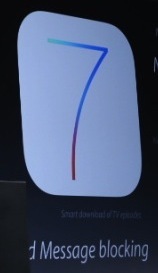 With any luck, Apple will evolve the feature with more granularity over time. Putting communication devices in our pockets that anyone can reach with the right string of digits forced us to surrender control of our attention. Call and text blocking for iOS will put that control back in the hands of millions of people.